When you hear something you want identified, you can ask, "What song is this?" or "Hey Siri, what song is playing?" 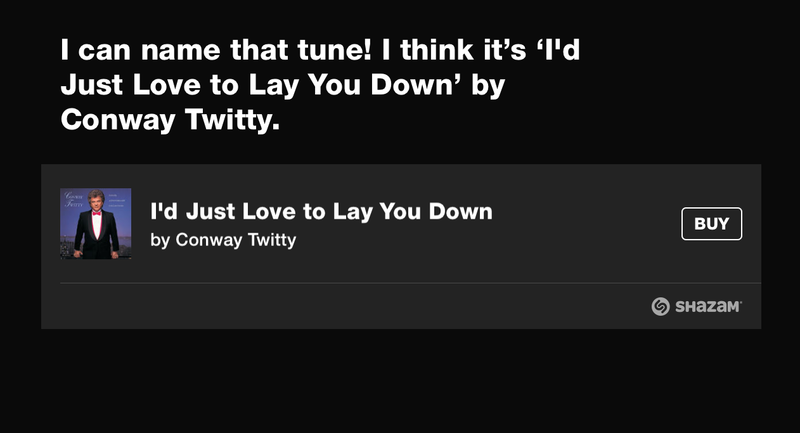 Siri responds with "Hang on, let me listen...."
Then after a few seconds, Siri responds with "I can name that tune!" and gives the name of the song and the artist, as well as an image from the album cover and a BUY button. Tap on the BUY button, and you're taken to a screen where you can tap to purchase that song and others from the album. 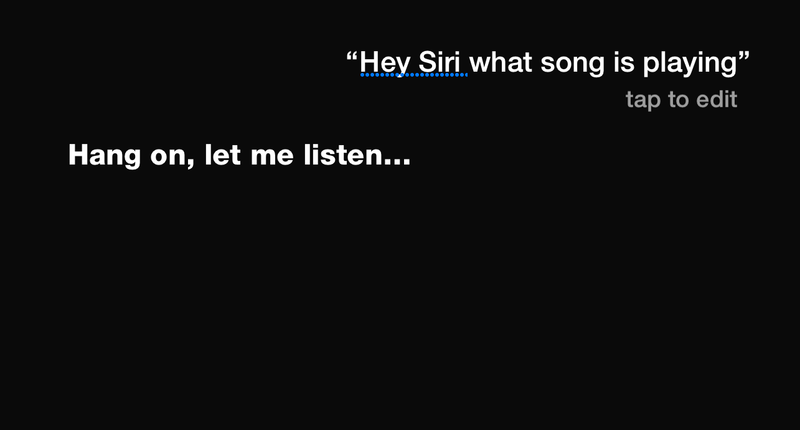 Now suppose you've asked Siri to identify a number of songs and later you'd like to see a list. Apple has thought of that and has built that feature into the iTunes Store app. Open the iTunes Store app and tap on the three parallel lines icon just to the left of the Search field. In the drop-down menu that appears, tap on the Siri tab. There you'll see a list of the songs that you've asked Siri to identify. This feature of Siri is powered by Shazam, the popular music-identification service that's long been available as an app. But it's a real convenience to have it now built into Siri.